August, 2000 - December, 2004, Doktor Ingenior (Doctor of Engineering) of Computer Science, Department of Computer and Information Science (IDI), Norwegian University of Science and Technology (NTNU), Torondheim, Norway. 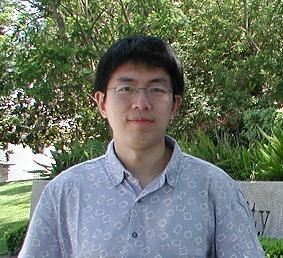 September, 1997 - July, 2000, Master of Computer Science, Information School, Renmin University of China. September, 1993 - July, 1997, Bachelor of Information Management, Information School, Renmin University of China. A. Sardinha, J. Rao and N. Sadeh "Enforcing Context-Sensitive Policies in Collaborative Business Environments". in Proceedings of the First International Workshop on Security Technologies for Next Generation Collaborative Business Applications (SECOBAP'07), Istanbul, Turkey, April 20, 2007. J. Cornwell et. al. User-Controllable Security and Privacy for Pervasive Computing. in Proceedings of the 8th IEEE Workshop on Mobile Computing Systems and Applications (Hotmobile 2007), February 26-27, 2007, Westin La Paloma, Tucson, Arizona. J. Rao, D. Dimitrov, P. Hofmann and N. Sadeh "A Mixed Initiative Approach to Semantic Web Service Discovery and Composition: SAP's Guided Procedures Framework". Accepted in the Proceedings of the 2006 IEEE International Conference on Web Services (ICWS 2006), Chicago, USA, September 18 - 22, 2006. J. Rao and N. Sadeh "A Semantic Web Framework for Interleaving Policy Reasoning and External Service Discovery". In Proceedings of International Conference on Rules and Rule Markup Languages for the Semantic Web, RuleML 2005, LNCS 3791, Galway, Ireland, 10-12 November 2005. N. Sadeh and J. Rao. "Interleaving Semantic Web Reasoning and Service Discovery to Enforce Context-Sensitive Security and Privacy Policies". In Proceedings of the First International Symposium on Agents and the Semantic Web. Arlinton, Virginia, USA. 4-6 November, 2005. J. Rao. "Semantic Web Service Composition via Logic-based Program Synthesis". PhD Thesis. Department of Computer and Information Science, Norwegian University of Science and Technology, December 10, 2004. J. Rao, P. Kungas and M. Matskin, "Composition of Semantic Web Services using Linear Logic Theorem Proving". Information Systems Journal - Special Issue on the Semantic Web and Web Services", Volume 31, Issues 4-5, page 229-296, June-July 2006. P. Kungas and J. Rao. "Symbolic Agent Negotiation for Semantic Web Service Exploitation". In Proceedings of the Fifth International Conference on Web-Age Information Management, WAIM 2004, Dalian, China, July 15-17, 2004. LNCS 3129, Springer-Verlag. J. Rao and X. Su. "A Survey of Automated Web Service Composition Methods". In Proceedings of the First International Workshop on Semantic Web Services and Web Process Composition, SWSWPC 2004, San Diego, California, USA, July 6th, 2004. J. Rao, P. Kungas and M. Matskin. "Logic-based Web Service Composition: from Service Description to Process Model". In Proceedings of the 2004 IEEE International Conference on Web Services, ICWS 2004, San Diego, California, USA, July 6-9, 2004, IEEE Computer Society Press. This paper received a best paper runners up award at the conference. J. Rao and X. Su. "Toward the Composition of Semantic Web Services. In Proceedings of the Second International Workshop on Grid and Cooperative Computing, Shanghai, China, December, 2003, LNCS 3033, Springer-Verlag. X. Su, M. Matskin and J. Rao. "Implementing Explanation Ontology for Agent System". In Proceedings of the 2003 IEEE/WIC Internation Conference on Web Intelligence, Halifax, Canada, October, 2003, IEEE Computer Society Press. S. A. Petersen, J. Rao and M. Matskin. "Virtual Enterprise Formation with Agents - an Approach to Implementation". In Proceedings of the 2003 IEEE/WIC International Conference on Intelligent Agent Technology, Halifax, Canada, October, 2003, IEEE Computer Society Press. J. Rao , P. Kungas and M. Matskin. "Application of Linear Logic to Web Service Composition". In Proceedings of the First International Conference on Web Services, Las Vegas, USA, June, 2003. J. Rao and S. A. Petersen. "Implementing Virtual Enterprises Using AGORA Multi-agent System". In Proceedings of CAiSE 2003 Forum, Velden, Austria, June 2003. S. A. Petersen, J. Rao, and A. Tveit. "Challenges in Agent-based Support for Virtual Enterprises". In Proceedings of the 1st International Workshop on Challenges in Open Agent Systems (corresponding with AAMAS 2002), Bologna, Italy, July 2002. M. Matskin, J. Rao. "Value-Added Web Services Composition using Automatic Program Synthesis". In Proceedings of "Web Services, e-Business, and the Semantic Web" workshop, Toronto, Ontario, Canada, 28 May, 2002, LNCS 2512, Springer-Verlag.